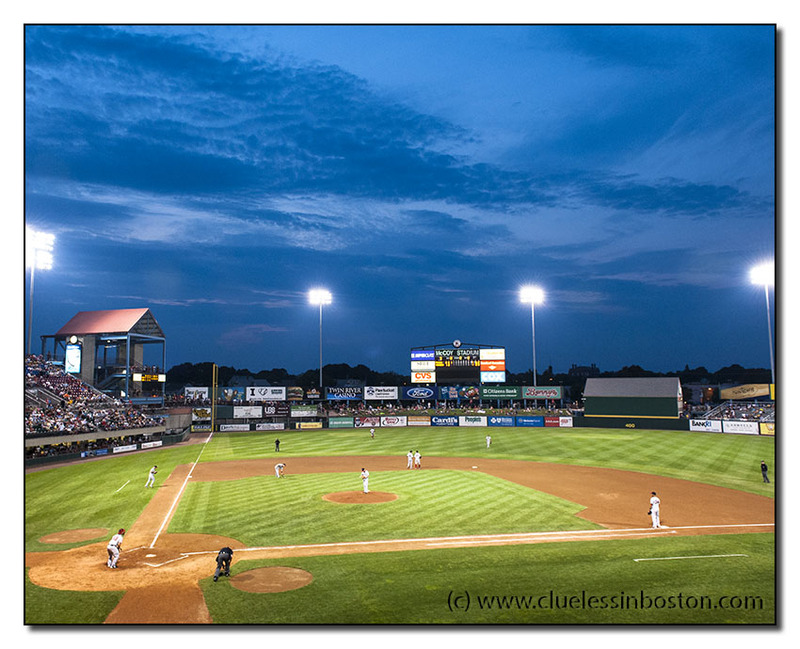 Night baseball game in Pawtucket, RI. Great sky. I love minor league baseball. The return of the GAM* ! what a fabulous shot of coy stadium! At least one pair of Sox is playing well this summer. Alas, not the most important. tsk, tsk, tsk! That is one gorgeous sky!